John Clark on something that you might not think has much to do with writing. Read on and decide for yourself. Remember when you were a kid? Think for a moment about some of the things you were absolutely convinced would NEVER be part of your life when you grew up. What was on that list? One item near the top of mine was weeding. 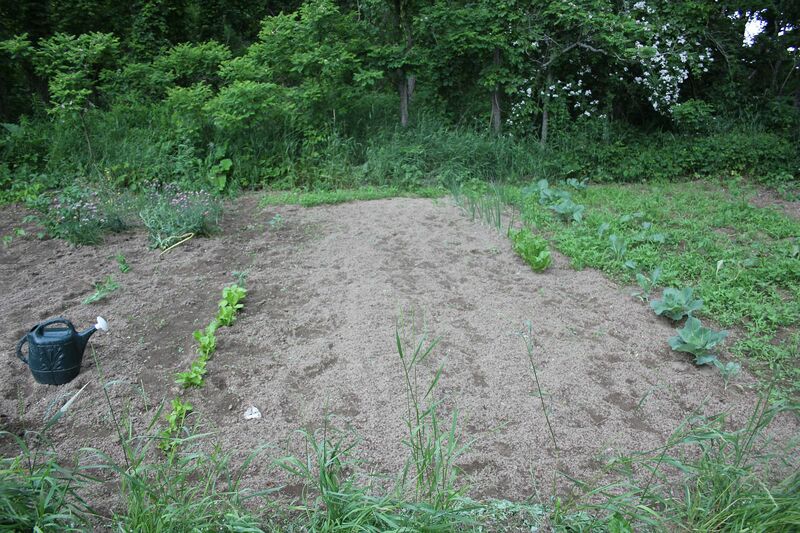 In addition to 15,000 chickens, we had several gardens and by golly, they had plenty of weeds that needed pulling. I hated doing it, so much in fact, that there were a couple times I played dumb and started pulling veggies. That, didn’t fool my father one bit and he doubled the length of whichever row that needed weeding before I was off the hook. When I was in high school, I worked weekends, after school and summers, sometimes at a neighbor’s poultry farm, sometimes working in the blueberry industry or something allied like burning fields, building an irrigation pond or harvesting squash…But no blasted weeding. 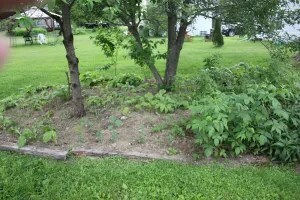 From 1966 until the mid 1970s, the extent of my gardening was raising a particular plant that was not only illegal, but required no weeding. 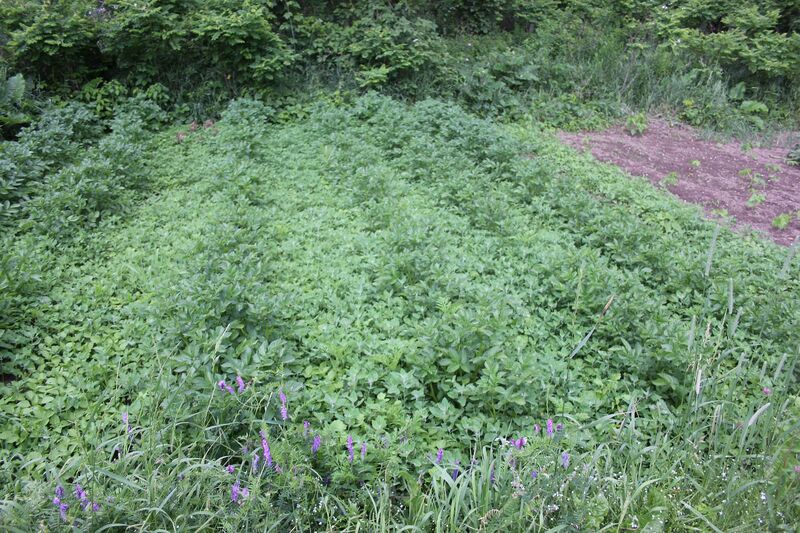 In fact, it was better to let weeds grow as high as possible to shield the crop from prying eyes. I couldn’t, however escape my heritage. My grandmother, Della Clark was an amazing flower gardener up in New Portland, my father had a degree in horticulture and Mom not only gardened avidly, she was a member of the Garden Writers of America. When Beth and I bought out first home in Chelsea, I spent considerable time turning the disaster that was our back yard into a garden. My neighbor, Sam Morrison, also liked gardening and let me use his tiller whenever I needed to. Somewhere in that process, weeding became a completely different experience, one I learned to like and use in ways I could never have imagined as a kid. Sam was a man of few words, but he was comfortable sitting on our stone wall while I talked about anything and everything. In the process, I realized that the speed of my weed pulling and rock tossing (the latter seeming to grow in abundance over the winter) directly correlated with my emotional and mental state, particularly in early sobriety. If I was wound up tighter than a teddy bear, I tended to weed like a demon and my mind went at a similar speed. As I learned to recognize this, I was not only able to slow things down, but was able to turn the whole frantic process into a form of manual labor meditation with some very tangible results. An ‘after weeds’ picture. Cukes and set plants now have no competition. 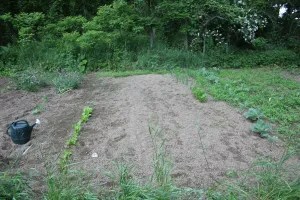 For four months out of the year, weeding became my way of figuring out my place in the world and how to deal with sticky or uncomfortable situations. It also made for a far better garden and greater harvests. That continued but expanded after we moved to Hartland. With fewer mental quandaries, I started writing in my head while weeding. In fact, it was while pulling dandelions and fuming at the huge right wing bias in columns in the local free paper that I got my idea of a counter column. It came to be called Right-Minded, But Left of Center, running weekly for several years until the paper folded. In addition, I discovered how many different sounds you can hear while weeding. Cars, semis jakebraking, multitudes of birds, neighbors doing everything from fighting to chatting or playing music, children playing, loons calling, jets and float planes passing overhead. In fact an idea that went into a couple stories where the protagonist used a concept I called sound separation, to help focus and solve a mystery that wasn’t cooperating. The range of visible experiences while weeding can be equally varied and rewarding. 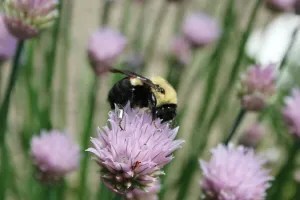 I see bees (got an amazing shot of a bumblebee with a silver pollen sack that looks like an insect version of a Pony Express rider), butterflies, hummingbirds, domestic and wild animals as well as fantastic cloud formations. One of my favorite insect shots. 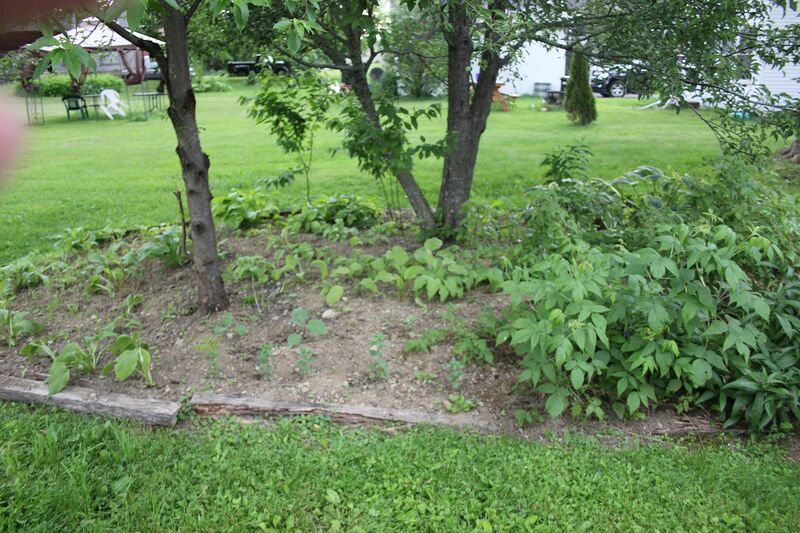 This week, I discovered yet another benefit of weeding-rehabilitation from an injury. A month ago, I felt a pop in my left knee while walking on the edge of the road. Before I got home, I was really limping and it just got worse. An initial diagnosis of a sprain, relieved some anxiety, but after two weeks with more pain and stiffness, I went back and was referred for an MRI. It took a week to get the results: bad sprain, maybe a tiny meniscus tear, but no need for surgery. Even so, it hurt big time and I was still pretty darn stiff. I spent better than three hours on my knees weeding the garden across the road two days this week. My knee is still sore, but there’s a lot more flexibility and as you can see in the last photo, the garden is beginning to look pretty spiffy. The sea of green in photo two is six rows of yet to be weeded potatoes. Another three hours and they’ll be free of pigweed so they can concentrate of turning tiny spuds into tasty behemoths. In addition to drug-free therapy and better veggies, I’ve gotten plenty of sun and more than a couple story ideas. After I invent my time machine, I’m going back and have a heart to heart chat with my teen self and encourage him to stick with the weeding. Who knows, he might even write a best seller while in his twenties and make us both rich. What was on your ‘Never Gonna Do This’ list that’s now a part of your life? I’d really like to know. This entry was posted in John Clark and tagged Chelsea, creativity, gardening, Hartland, John Clark, landscaping, meditation, Sam Morrison, weeds. Bookmark the permalink. Is jakebraking another term for using the engine brake or is it something completely different – as some of my favorite characters would say…. Gram, you got it right. In fact there are some ‘No Jakebraking’ signs in the northern part of Maine. We are often woken up at 3 in the morning by said truckers going by our house as we’re on an unofficial shortcut from Rt. 201 which comes down from Canada ant I-95 in Pittsfield. First of all, I loved this post. Sound separation. Fascinating. As for my never-gonna-do list, it was: I will never be a college professor. My mother was so often literally knee-deep in student papers in her home office, I thought it looked like a job that never ended. I does end. I just retired (early) from a career as …. yes, a professor. And it was much better than my mother’s heaps of papers made it look. Amber, thanks for sharing a never.